All teachers need to hear this latest brain research that is guaranteed to improve our scores and enhance our students' learning! Terry practices what he preaches! It’s summer and you’ve got a kid standing in front you uttering those dreaded two words: I’m bored. Luckily one of the best ways to combat nothing-to-do syndrome is also one of the simplest solutions. Grab your kids, head to the nearest library or book store and turn them on to the timeless treasure that is a good book. “Books were a huge part of my childhood. Road trips equals books,” says Calgary-based young adult novelist Janet Gurtler. Gurtler, whose latest offering is How I Lost You, is happy to report her own kid is continuing the summer page-turning tradition. To succeed at getting kids to read, experts say you should be prepared to practise what you preach. “If kids see parents enjoying reading, then they’ll copy,” says Michael Katz of Vancouver-based children’s book publisher Tradewinds. Cynthia Nugent, an award-­winning kids book author and illustrator, recommends reading to children. 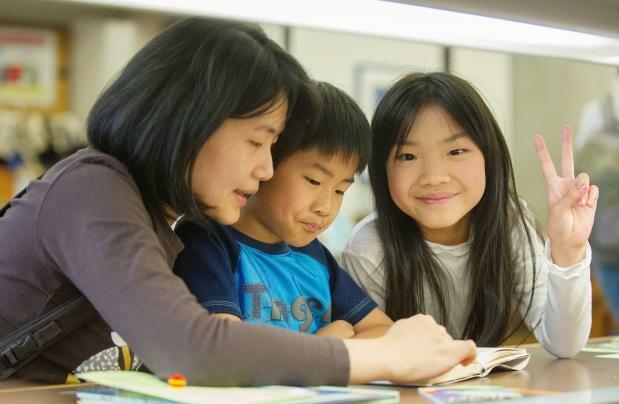 “To teach kids to become readers, read to them when they are kids,” says Nugent, a workshop leader at the Vancouver Public Library ­summer reading camp and whose next book, Mister Got to Go Where You Are, is out in the fall. Vancouver based education expert Terry Small (terrysmall.com) says reading with and to your kids has many benefits — and not all of them literacy-based. “It’s so important for kids to learn how to focus on one thing at a time and work on attention density. Books help with that,” says Small, adding that novels help kids develop empathy and relationship skills. Speaking of relationships, reading with and to your kids will pay off as kids grow up, said Small. “It is kind of digging a well before you are thirsty, to quote the old proverb, because there will be some tough times in the teen years and if you have developed that relationship and laid the groundwork, then reading becomes a natural way to connect on that level it also becomes a way to talk about ideas,” Small says. According to a 2008 study in the Archives of Disease in Childhood, young children whose parents read aloud to them will do better in school and are more likely to develop a love of books and reading. So once you’ve got the kids interested in stocking up on books for the summer, the next step might involve a little detective work. But you don’t have to be quite as clever as Sherlock Holmes to figure out that your kid would like to read mysteries.